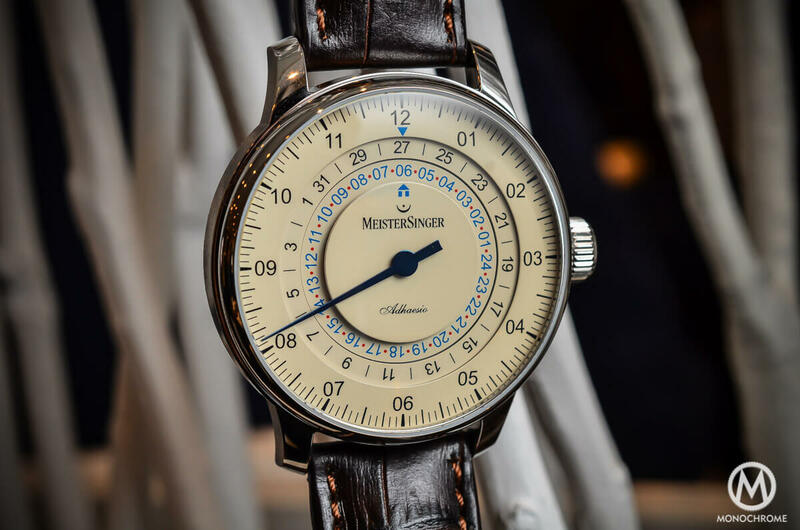 Meistersinger, who are known for their single-hand watches, have already created several editions of watches with an additional complications, like a date or a jumping hour. 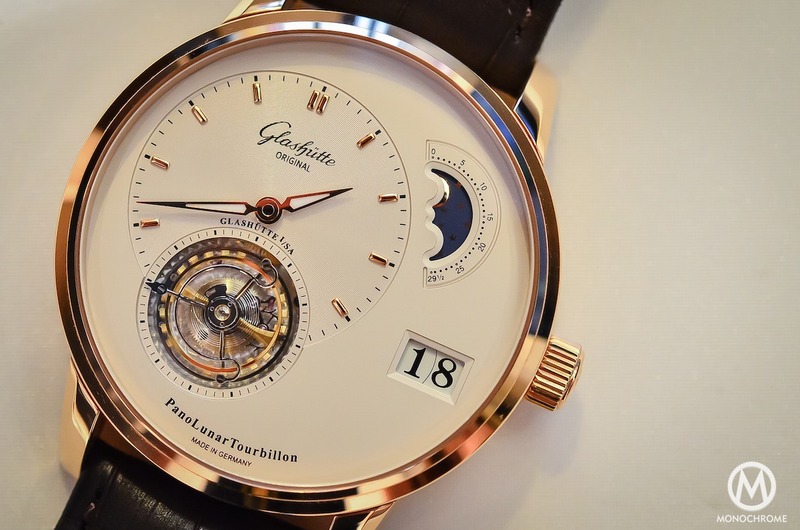 They recently came with something even bigger, a first for the brand, a timepiece with their own proprietary movement, the Circularis. 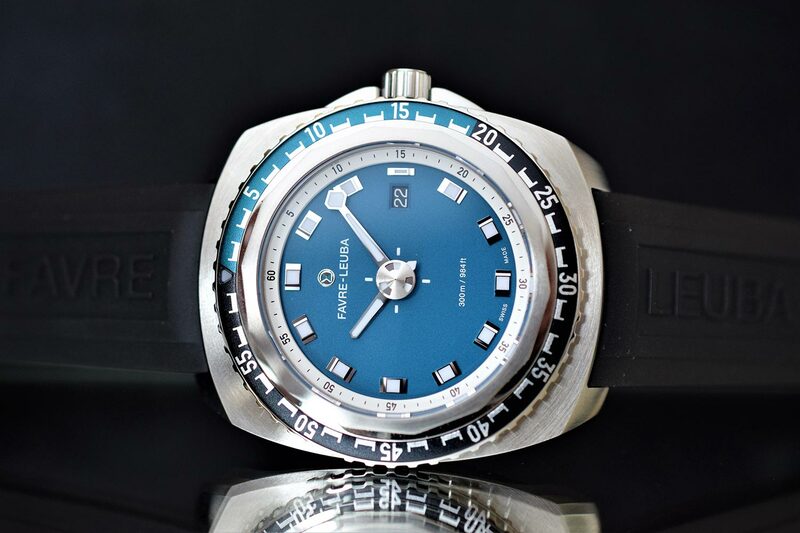 For Baselworld 2015, it’s another first for the brand that was introduced, another single-hand watch (why changing the brand’s DNA…) with now a second time-zone. 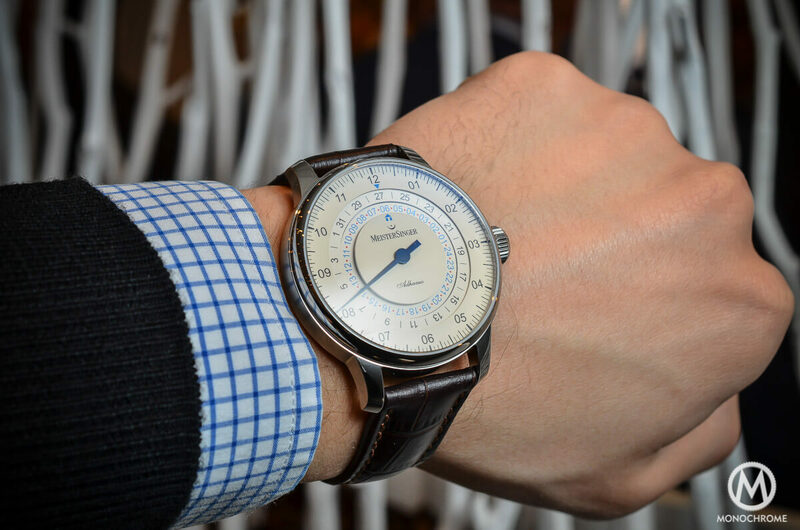 Hands-on with the new Meistersinger Adhaesio. The concept behind Meistersinger is simple and had never seen any exception to the rule: creating single-hand watches, with or without additional complications, but always with only one hand to indicate the hours and the (approximate) minutes. Of course, some of the watches are coming with a date – in a window or on a rotating disc, like the Perigraph – some are coming with a chronograph or with a jumping hour mechanism – like the Salthora or its sporty edition the Salthora Meta. Despite the extra-functions, the dial is always focused on displaying time with one and only one hand – making time reading kind of special at first sight but in fact, after a few hours to get used to this display, convenient and easy. The truth is: who really needs to have the exact minute? A precision to the closest 5 minutes is, most of the time, more than enough. 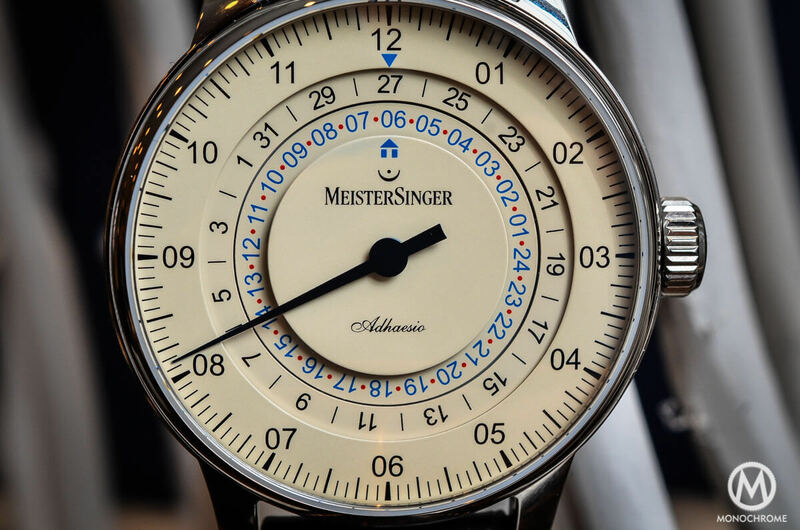 The main Meistersinger novelty for Baselworld 2015 is (surprisingly) another single-hand watch, the Adhaesio, this time coming with 2 extra-features. 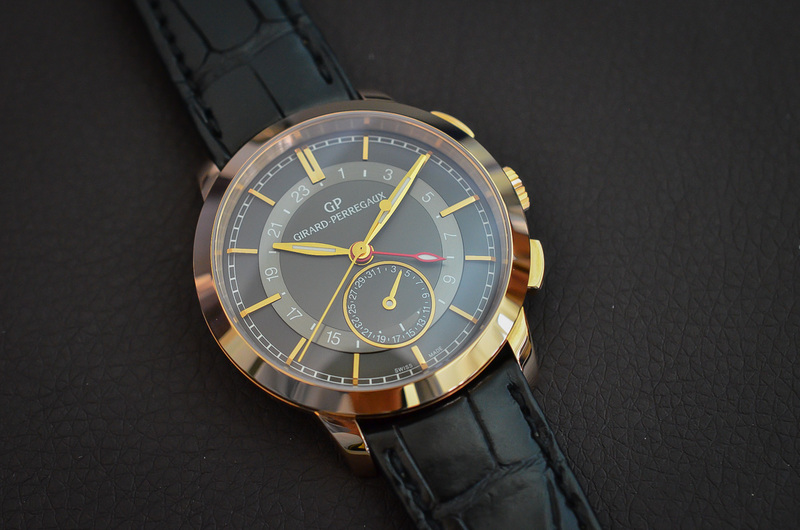 The first one comes from its older sister, the Perigraph (with which it shares the same case and almost the same dial, hand and font): a date indicated by a rotating disc in a recessed part of the dial. This disc rotate clockwise and the date is pointed by a red or blue (depending on the dial) triangle at 12. This complication is simply working like every date disc of any classical watch. The main difference here is that the disc is fully exposed and not only revealed in a small window at 3 or 6. The main novelty (and a first for the brand) is not here. 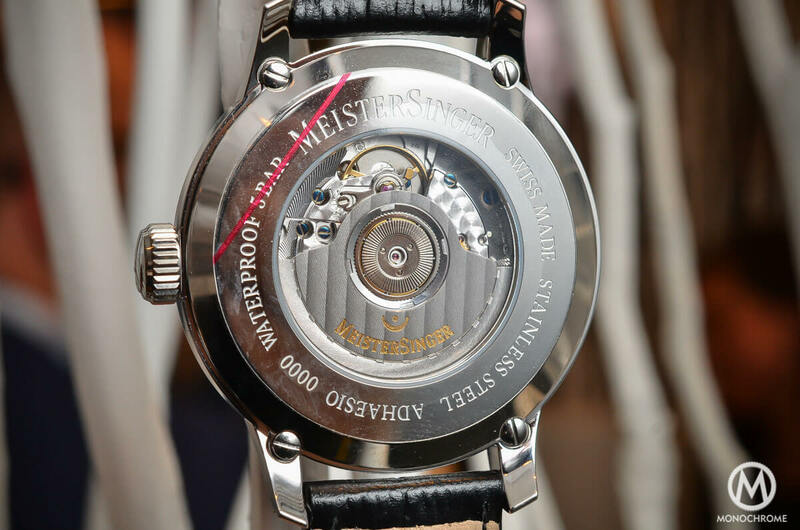 The Meistersinger Adhaesio indeed comes with another complication, also displayed by a rotating disc next to the date disc, also rotating clockwise: a 24-hour scale indicating a second time zone, the home time to be precise, that is pointed by a small house at 12. 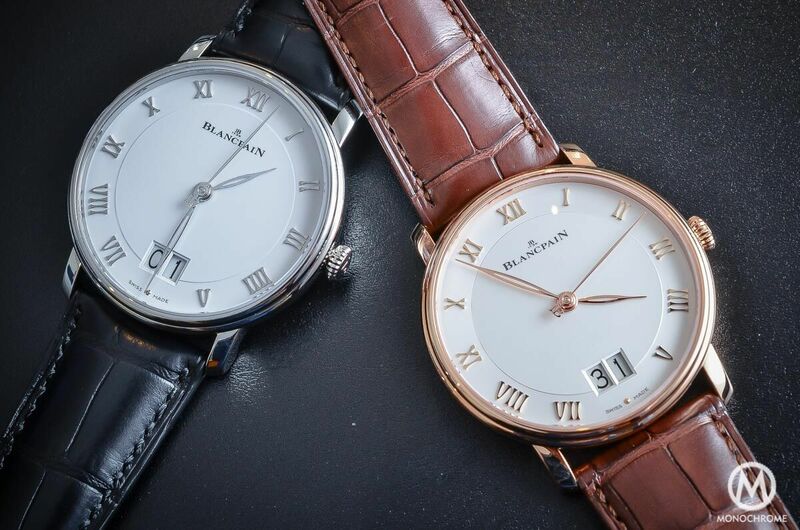 Classical for the brand, the time is displayed via a single hand that points the hours and the minutes with an approximate precision of 5 minutes – more than enough in 99% of the daily conditions. The Meistersinger Adhaesio is powered by a self-winding movement, the well-known and robust ETA 2893. The local time, the second time zone and the date can all easily be adjusted via the crown. It boasts 38-hour of power reserve. This movement can be seen through the sapphire caseback (movement here finished with circular graining and blued screws). 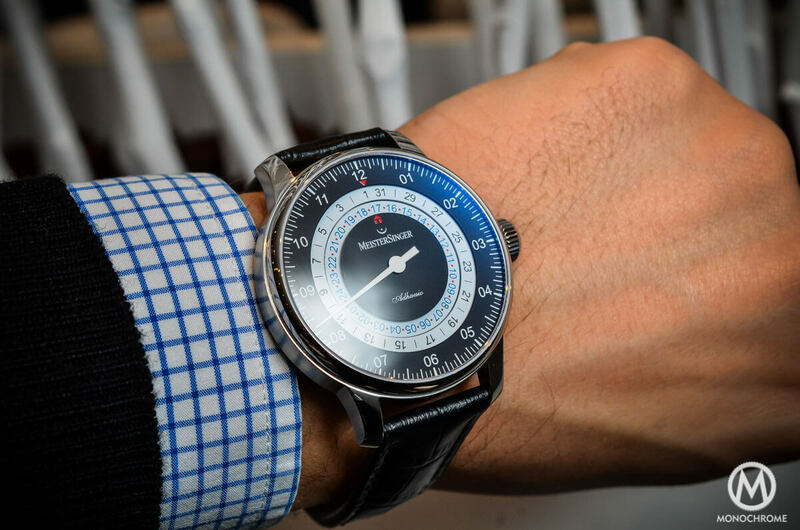 The Meistersinger Adhaesio comes in the classical 43mm case of the brand (shared with the Meistersinger Perigraph) made of polished stainless steel. It comes on a leather strap stamped with alligator scales – a real alligator strap or simply a plain leather strap would be a better idea (something that can easily be fixed with a new strap). On the wrist, the Meistersinger Adhaesio is a robust and masculine watch. However, this size fits the concept of a single hand watch with complications quite well and the curved lugs help to balance the watch. It is a large timepiece but not a disturbing one. 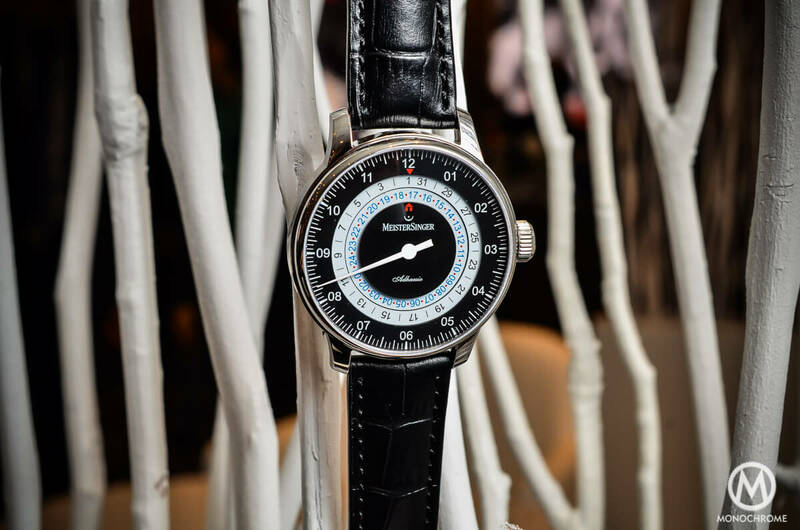 The Meistersinger Adhaesio comes in a choice of 4 dial: black with white discs, full white, full sand and blue with white discs. 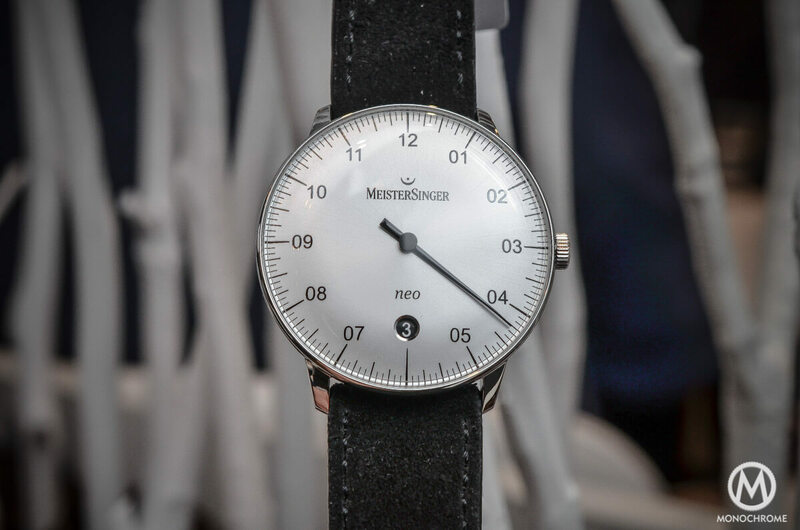 It shows again the capacity of the brand to offer a unique timepiece – with its very personal display of the time – together with practical complications and a very reasonable price, as the Meistersinger Adhaesio will be available at 2.398 Euros (with EU taxes). 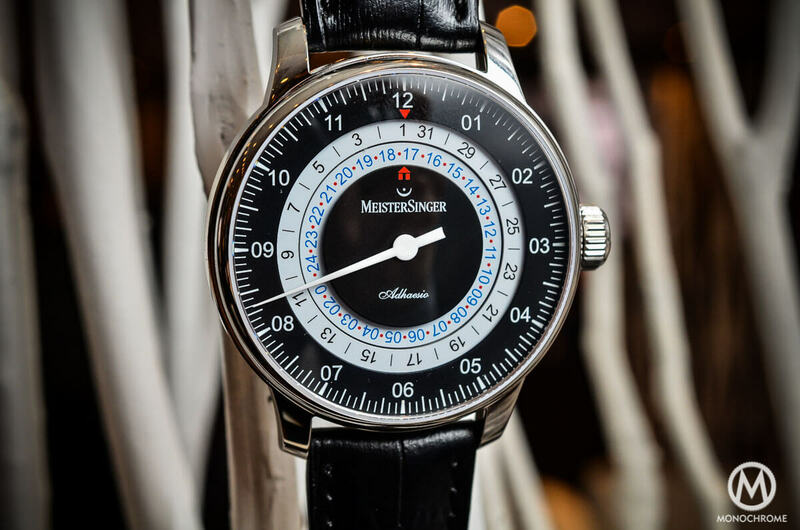 More details on Meistersinger official.